Home » firm expansion , South Florida » RICHARD RYLES NAMED SHAREHOLDER AT RE-BRANDED ROSENTHAL, LEVY, SIMON & RYLES, P.A. RICHARD RYLES NAMED SHAREHOLDER AT RE-BRANDED ROSENTHAL, LEVY, SIMON & RYLES, P.A. 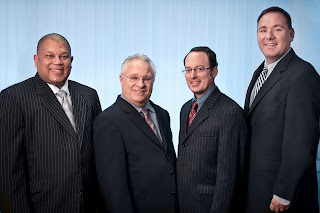 WEST PALM BEACH, FL (March 1, 2012) - Richard Ryles has become a member of the firm now known as Rosenthal, Levy, Simon & Ryles, P.A. uniting two practices into one team. Richard, a third generation West Palm Beach resident, brings to the firm his vast experience in the area of negligent security. Negligent security lawsuits are asserted by individuals who were attacked or victimized, most often on business property. Richard has represented many local residents in personal injury, police brutality and other high profile cases, including the $2.1 Million Dollar settlement for the survivors of the Rosewood Massacre. The members and staff of Rosenthal, Levy, Simon, & Ryles, P.A. pledge to focus all of their skills, experience and dedication on assisting those who have suffered serious injury, disability or from discrimination. The firm has achieved a strong national reputation in these areas. “We earn our reputation everyday by working to provide clients the best possible legal representation,” says Richard Ryles.